These mints may not help you remember what you went upstairs for, but they will certainly leave your breath smelling minty fresh! 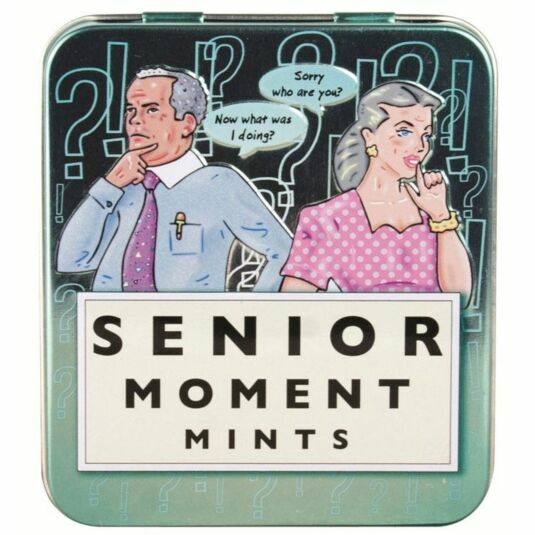 These sugar free peppermints come in a 45g embossed tin and make the perfect gift for all ages, no matter how senior! Ingredients: Sorbitol, Anti-caking agent: Magnesium Salts of Fatty Acids, Flavourings, Artificial Sweetener (Aspartame, Acesulfame K). Contains a source of Phenylalanine.